Fashionista NOW : How To Style Your Basic White Tee Or Tank Top? If you’re blessed to hoard white tees and tanks, then wear them all out this summer in style. White tees or tanks are a basic staple you’ll find in your closet that will be relevant pieces of your wardrobe puzzle all year long. They’re a neutral and make for a summer go-to for when temps spike and you want to be clad in a non-colored top just to feel airy and nice. If you’re a recent born minimalist fashionista, then you may be wondering how to make your wardrobe speak of effortless style in your white tees or tanks without looking like you’ve given up. 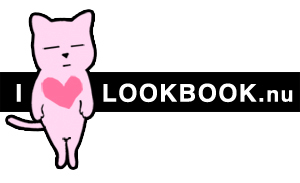 And since I’ve read your collective minds, below you shall find a list of lookbookers who will show you how they style their white tops with various bottomwear options. Enjoy! Which look is your favorite? Share below – I’d love to know! 1 comment to Fashionista NOW : How To Style Your Basic White Tee Or Tank Top? Hope you’re looking forward to the weekend!